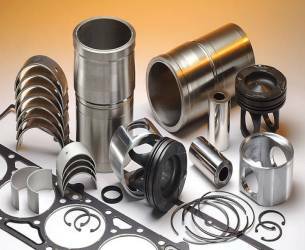 Genuine Cummins parts - at competitive prices. Quality Alternative or Generic parts - at cheaper prices. Certified Used parts as well as Re-manufactured Exchange assemblies. 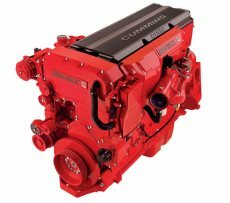 If you require any part to suit a Cummins engine and you don't see it listed, request a Quotation. Online Categories include: Silicon Hose, Fan Clutch, Merchandise, Filters, Belts & Electronics. Torque Power Diesel (Australia) Pty Ltd has serviced and supported Cummins diesel engine products since 1978. We provide specialist workshop level services both in-house and in-field to customers ranging from automotive, construction, mining, power generation and marine - this all supported by the largest privately owned inventory of Genuine Cummins parts in Australia. With the successful launch of our innovative Online Parts Store just 2 years ago and the opportunities that presented us, we decided, by mutual agreement with Cummins Inc., to not renew our 30 year long Cummins Authorized Dealer status past 23rd December 2013. We believe that as an independent, non-aligned privately owned company we are much better positioned to grow our business, and in doing so to grow our capacity to meet the "best value parts and service" needs of your business. We look forward to being of service. From day one, we've stood 100% behind everything we've sold or serviced, and that commitment remains.